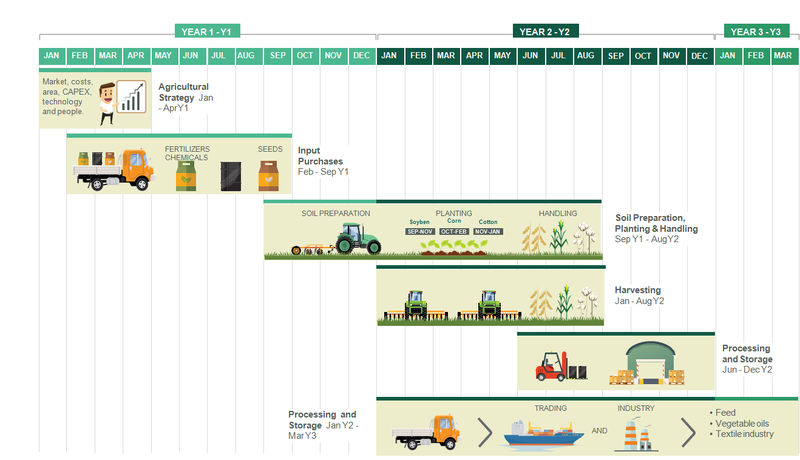 The production cycle begins with agricultural strategy based on the national and international scene of current and future agricultural commodities. Strategic definitions guide the development of the agricultural planning for each year, on which all the necessary supplies for crops are defined, within the peculiarities of each crop. 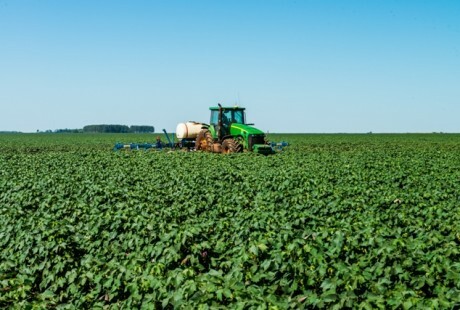 After the acquisition and delivery of supplies to the farms, the implementation of agricultural operations begin, such as soil preparation, seeding, fertilization as well as pest, disease and weed control and finally the harvesting. The flow of these activities occur throughout the year, especially on farms where climatic conditions allow for the cultivation of the harvest and for a 2nd crop. After harvesting, the products are processed and stored in the company’s own production units until they are sold and transported. The final destinations of the agricultural commodities are our customers with high quality standards in the domestic and foreign markets. The entire production cycle, which ranges from agricultural planning to delivery to the customer can take more than two years. Agricultural planning is a crucial step in the agricultural production process and it is designed based on detailed current and future commodity market studies, climate forecasts and production costs. 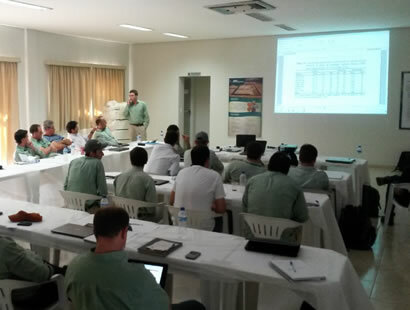 In this stage, agricultural planning teams conduct a thorough evaluation of the factors that influence the production, based on technical decisions, all materials needed to promote proper development of each crop are planned, aiming to explore their productive potential together with the quality required by our customers. Agricultural planning is carried out with the technicians of the farms from January to March each year, in which crops, operations, fertilizers, correctives, pesticides, seeds and machinery are defined. Strategic planning also allows a long-term analysis which allows to look for opportunities in the market, opportunities to buy supplies and the sales of commodities. 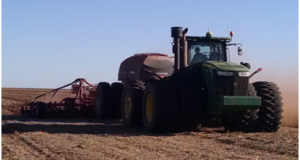 Preparing the soil for planting crops means providing the best conditions for the plants to develop and involves the use of ground covering plants, appropriate physical conditions, efficient control of erosions and water infiltration, direct planting system and a balanced supply of nutrients. The efficient planning of the varieties of each crop also requires efficient planning of the planting system. 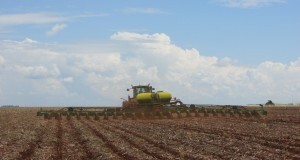 Crops should be planted at the best times for each cultivar, seeking to obtain the maximum potential of each crop. This is only achieved with the constant training of the workforce and the use of high operational performance machines and the quality of the operation. The cultivation system in the Brazilian Cerrado requires an efficient rotation of crops to guarantee the long-term sustainability of the soil, natural resources and productive system. During the production cycle, appropriate management activities to ensure the satisfactory development of the plants are performed, such as applications of fertilizers and pesticides to minimize pest damage, diseases and weeds. All operations are performed according to agricultural planning and by means of daily evaluations in the field. Harvesting takes place virtually all year round at SLC Agrícola. 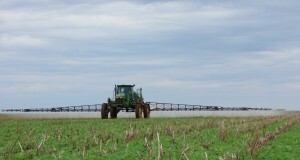 This operation starts in the Central West region, with early soybeans during the month of January, and extends to April in the Northeastern region. The harvesting of corn, the 2nd harvest begins in June and ends in August. Cotton is harvested from July to September. In addition to field assessments, productivity is monitored by harvest maps that allow to improve operations for future harvests. The processing and storage processes of SLC products is done using the latest technology, always working towards safety, product quality and efficiency of operations, including all the activities from the field to the delivery of the product to the customer. In the case of cotton, transport to the plant is carried out with the utmost care to preserve the quality of the fiber. During its processing, each process step is inspected and adjusted in order to obtain a product with the highest possible quality. During the processing process, it is essential to control the humidifying and drying of the fiber, therefore in some units we have an automated system for drying and humidifying of the plume to ensure quality in our process. All cotton bales are classified so that we can present our customer with a uniform fiber classification. In the plume storage process, lots are formed according to their quality standard. SLC Agrícola has 18 modern grain receiving units, providing an infrastructure capable of receiving, standardizing, separating and storing soy, corn, wheat, sorghum, sunflower, and other grains. The basis of this structure is formed by specialized professionals, focused on the safety of the operation, final product quality and efficiency in drying and storage of agricultural products to satisfy the needs of our customers. The grains produced are stored in locations where the temperature and aeration is controlled.